Matthew H. Bunn is an Associate in the Litigation Practice Group and member of the Emerging Industries Team. Matt is a business counselor and litigator who represents clients in federal and state courts in complex commercial litigation matters. He counsels clients to avoid potentially litigious situations and advises clients throughout the process of litigation to achieve cost-effective and positive results. Matt also has experience in alternative dispute resolution and finding other economical means to successfully resolve matters for clients. 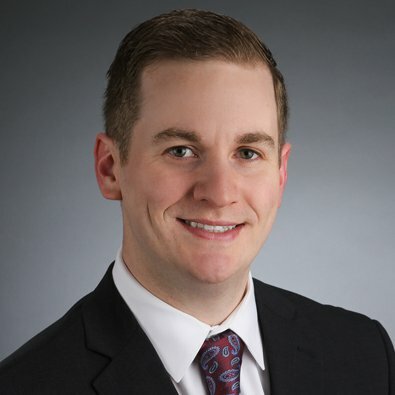 Prior to joining Freeborn, Matt was a litigation associate at Duane Morris LLP. Matt also previously externed for both Justice Terrence J. Lavin of the Illinois First District Appellate Court and the late Honorable John W. Darrah of the United States District Court for the Northern District of Illinois. Represented school bus company in breach of contract action. Represented community center in failure to procure proper insurance case involving breach of contract, breach of fiduciary duty, and negligence claims. Represented discount service website in defending class action. Represented bank in defending claims for breach of fiduciary duty and common law and consumer fraud. Represented equipment manufacturer in prosecuting qui tam action. Represented mortgage special servicers and lenders in disputes involving commercial mortgage-backed securities and guaranties. Represented individual in identity theft action based on fraudulent federal student loans. Represented food brokerage company in prosecuting tortious interference claims. Represented financial services company in FINRA arbitration proceeding. Represented insurers in defending policyholder claims on various insurance policies.